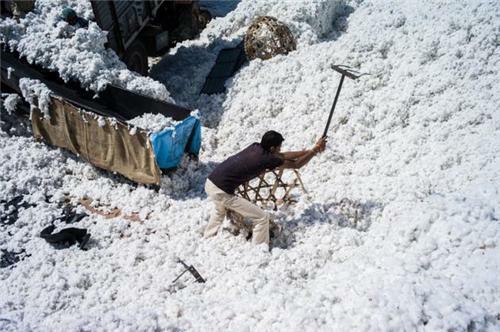 Akola, branded as the “Cotton City,” is acknowledged for its cotton production all the way through India. The city is also recognized for its pulses mills, oil mills and textile mills. The city is an industrial hub and had been a noteworthy commercial and trading centre, right from the outset. The city is also well outfitted with commendable goods transportation and communication system in the form of railway and roads. On top of that, the expansion of electric grid system and establishment of Paras Thermal Power Station, ensuring ample electric power supply, have massively contributed to the industrial enlargement of the metropolis in recent years. Dr. Panjabrao Deshmukh Krishi Vidyapeeth is also located in Akola, which came into existence on 20th October 1969 and it further lent a hand in augmenting the prominence and evolution of the metropolis. The city is also notable for fabricating an Indian game “Carrom”, which is manufactured in this city because of ease of access of superior quality raw material. The chief and the most cost effective industrialized area in Akola is the Maharashtra Industrial Development Corporation or MIDC. It has three high industrial zones on the outer reaches of the city. The total terra firma under the MIDC Industrial area is 6.25 square kilometers. There are about 25 factories out of which 3 are large factories and 22 are small factories, all of them currently in production. There are another 10 small factories which are under erection for the time being. Maharashtra Government has endorsed growth Centre close to MIDC area. A request from MIDC for establishment of an Agro Processing Special Economic Zone (SEZ) in Akola district has been officially approved. Maharashtra State Seeds Corporation (Mahabeej) has center of operations in Akola. TIME honored industrial conglomerate like the Mafatlal faction and the Birla faction have established their manufacturing units here at Akola. Huge business associations such as Simplex Mill, Berar Oil Industries, and Polyophin Industry (nowadays identified as NOCIL), Mohata Cotton Mill (NTC Ltd), Co-operative Spanning Mill, and the like, are located in the town. Agriculture is the mainstay of Akola's economy and most of the citizens in the rural areas are engaged in this activity to earn their daily bread. The major economical activity carried out in the district is crop growing. These days, soybean is an important crop grown in the area. Cotton and Jowar or sorghum (as the locals call it), are the principal crops are also cultivated. Oil mills, textile mills and pulses mills are also widespread. Other important crops of the region are bajra or pearl millet, wheat, canola, sunflower, peanut, harbara or chick peas, toor or urad, pegion peas or Toor and green gram or moong and so forth. Most crops hang around for the onset of the monsoon season. No more than 15% of Maharashtra’s gross harvested area is irrigated, as measured up to the national average of 32.9% in 1989-1990. Well thought-out as one of Maharashtra’s least developed provinces, Vidarbha has caught the sight of suicidal deaths of farmers caused by malnutrition, in the Akola region and other divisions which is a matter of concern. Bharat Krishak Samaj, one of the leading organizations looking after the welfare of farmers in India, is on the mover in Akola region, under the vigilance of Mr. Prakash Shriram Mankar. Vidarbha zone has long called for a separate state to support the cost-cutting measure and crop growing of this division, which has been deserted by the Maharashtra Government in all zones. The Government of India’s intercession has botched to provide government aided packages and the endeavors made to bring about changes in the working state of affairs of the farmers of this region, had been in vain, till this moment in time.